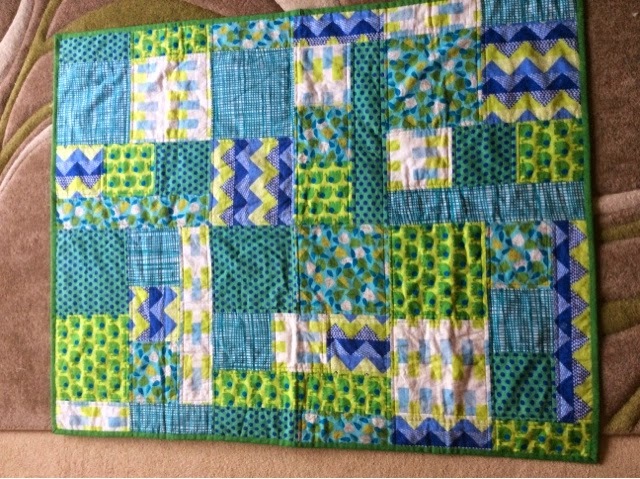 To start us off, this green quilt is the second quilt I ever made (the first was a present so I don't have it anymore) and I made it when I was about three months pregnant with my son. We didn't know the gender, but I wanted to make something for this unknown child, partly to help me believe that it was real. 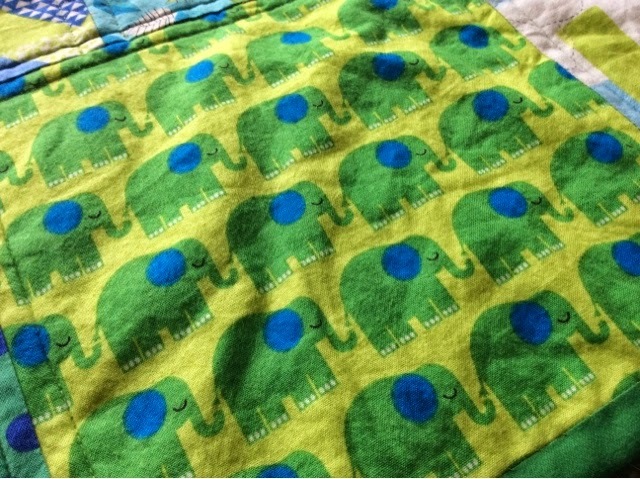 I bought the fabric online as a fat quarter bundle, in large part because I loved the cute elephant print. I then googled for easy quilts you could make with fat quarters and came up with a free pattern for this design. 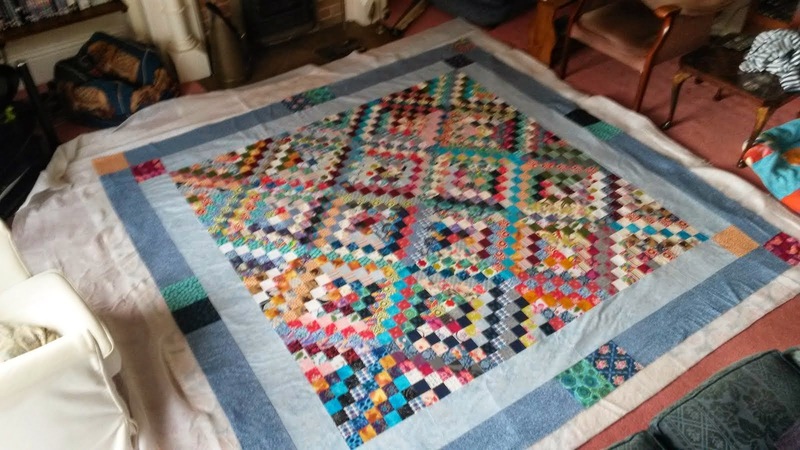 I have since lost track of where I got the pattern from (which is a real shame as I love it - it looks good and is quick and simple to put together), but if anyone recognises it then let me know and I'll add a link! 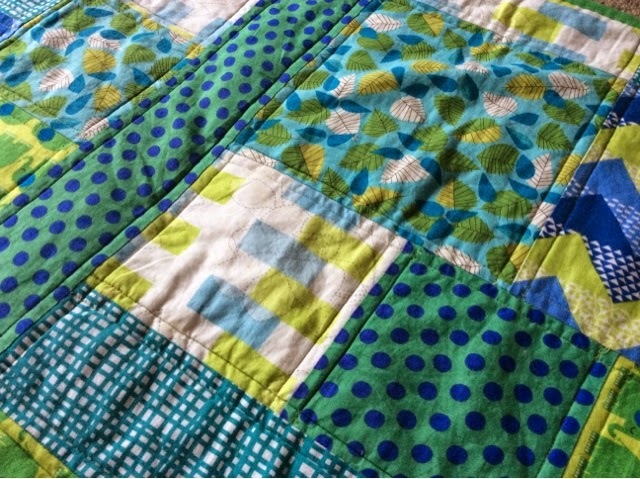 The quilt used six fat quarters, and there were only the tiniest scraps of fabric left over. 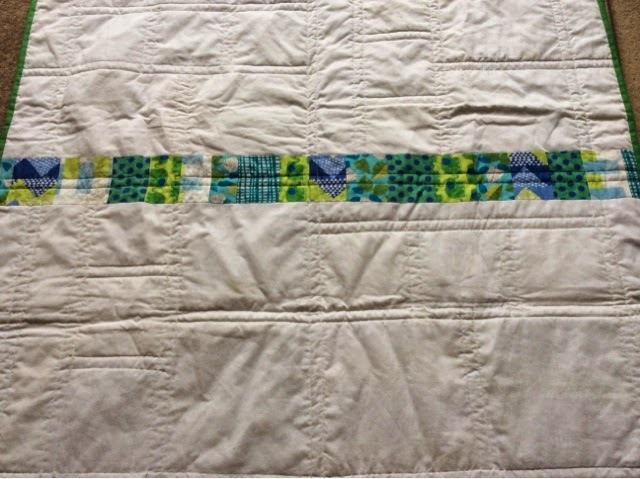 It's quilted really simply, with straight lines either side of each seam. It was done before I'd even heard of the existence of a walking foot, so there are a few puckers, but given it was my first attempt at machine quilting I'm pretty proud of it! I don't remember what the wadding is, but I imagine that it's either Hobbs 80/20 or polyester, as those are the ones you could get at Hobbycraft. I backed it using a white sheet, with a strip of patchwork across the middle - I love backs with a bit of detail.